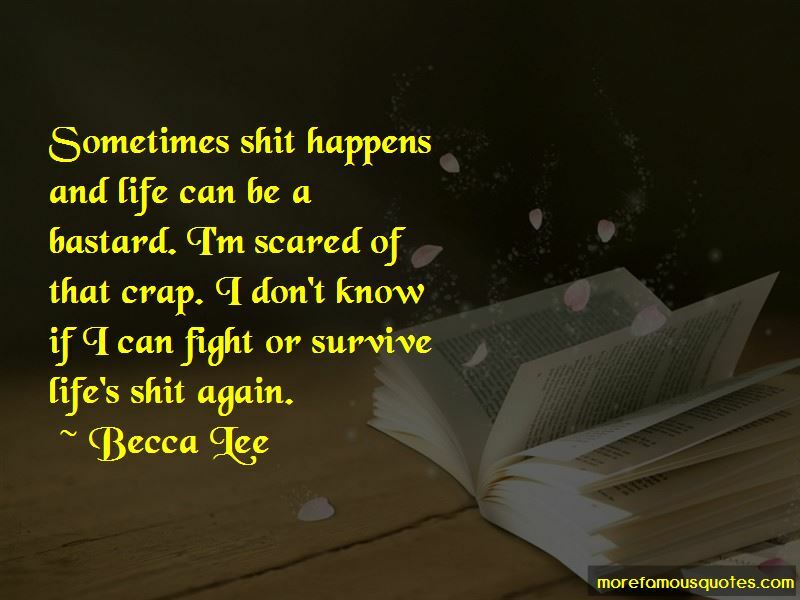 Enjoy the top 6 famous quotes, sayings and quotations by Becca Lee. Take it easy, I carefully suggested to a pale Jo. She was chugging a glass of Champagne so quickly I half expected the bubble to shoot right down to her arse and release tiny Champagne sparkle farts. 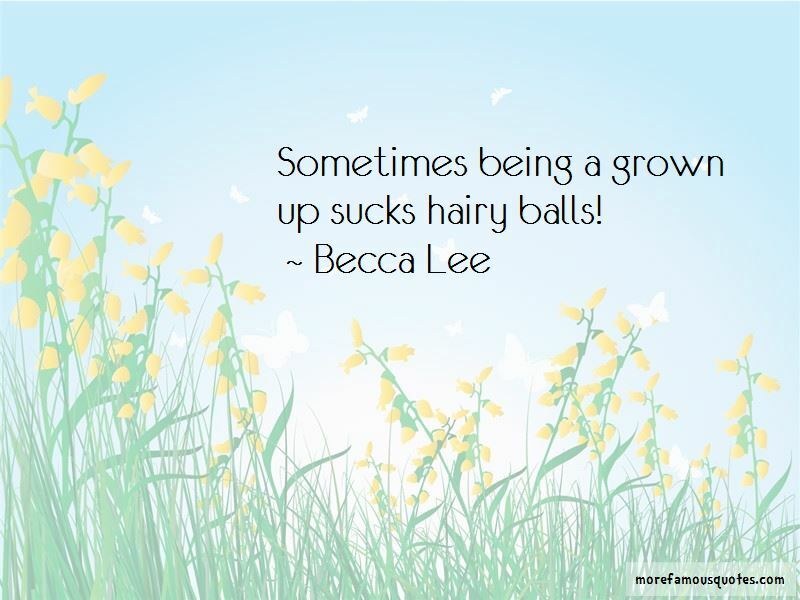 Want to see more pictures of Becca Lee quotes? 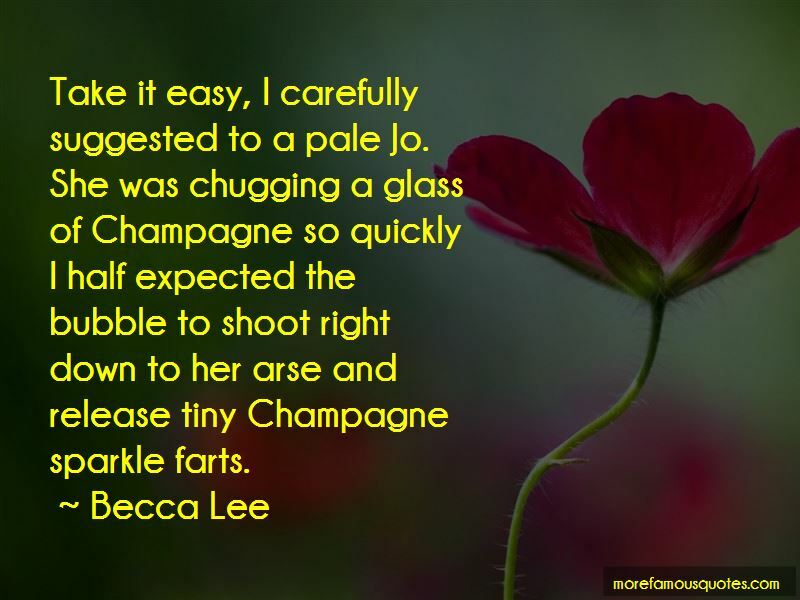 Click on image of Becca Lee quotes to view full size.